A continued essay as Chris Buck’s interview with Lakota world citizen educator Kevin Locke, who explains why the Baha’i concept of progressive revelation applies equally to indigenous religious traditions. f the Lakota people are to be seen as equals, as they should be, then reciprocal respect for their spiritual traditions is very important. There is no harm in doing so. 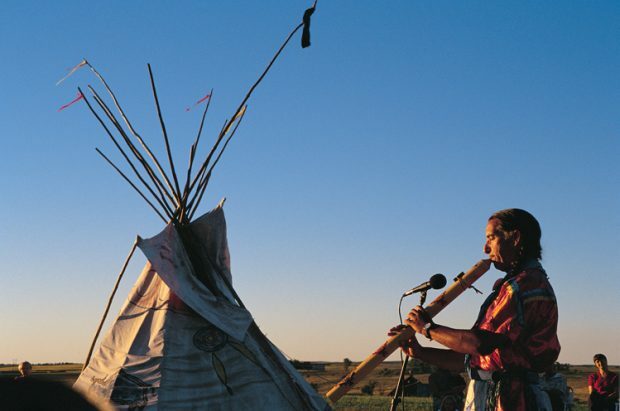 Great good can come of this mutual respect and recognition, if everyone recognizes and respects these Lakota sacred traditions. Čhaŋnúŋpa waŋží yuhá ílotake čiŋ, míksuya opáǧi yo! If you sit down with a pipe. then the things you want will come true.